Hello and welcome! 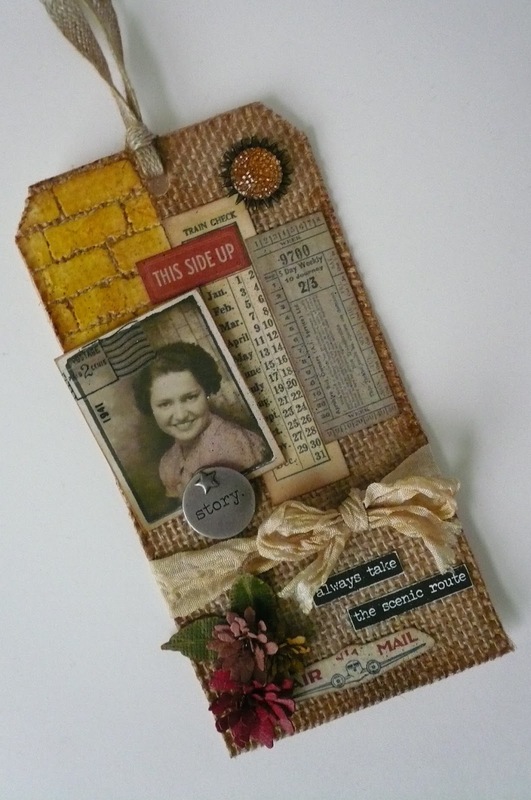 Quick post today to share my version of this month's tag by Tim Holtz. As always the creativity that Tim puts into these tags is so inspiring. I look forward to seeing what he comes up with every month! Thanks for stopping by! X, Y, Z . . .